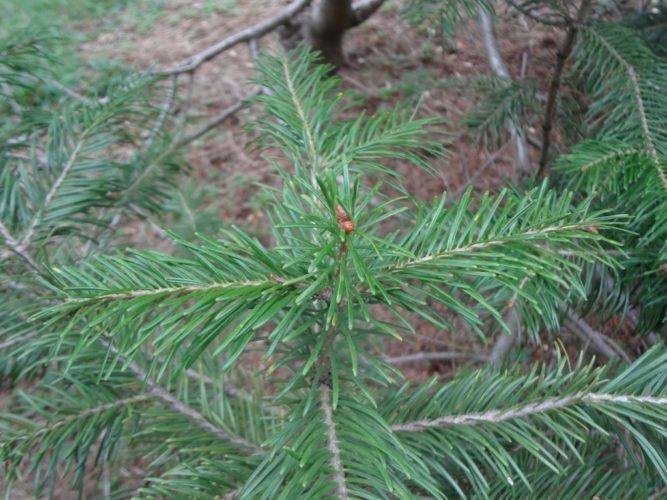 Abies sibirica subsp. semenovii, first described in 1899 by Boris Alexjewitsch (Alexeevich) Fedtschenko (1872- 1947), is commonly known as Tienshan fir. Occasionally, one will see this listed as a separate species (A. semenovii), however the majority of research available maintains it as a subspecies. Description. 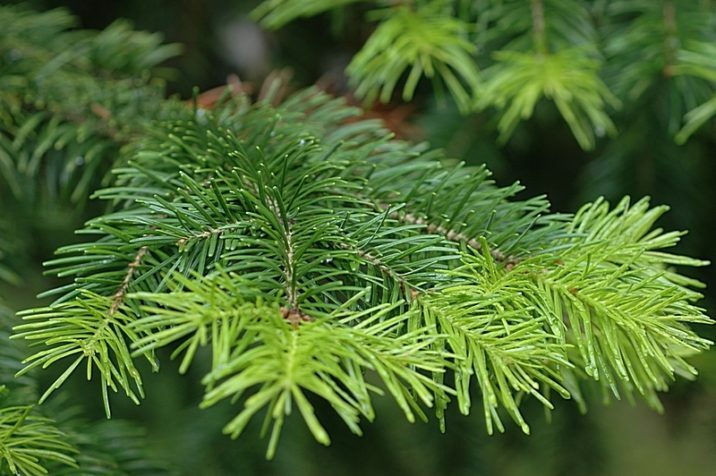 Tienshan fir differs from the typical species though branchlets that are noticeably ridged and grooved and needles with marginal resin canals. Seed cones are yellow-brown, with broader bracts than those of var. sibirica. Kyrgyzstan, the native land of Abies sibirica subsp. semenovii. Note the Tien Shan range in the southeastern part of the country. Distribution. This subspecies is confined to Kyrgyzstan — Talasskij Ala Tau, forming forests on the north-facing upper slopes of the Tien Shan or in steep ravines at elevations of 4,100 to 9,100 feet (1,300 - 2,850 m) above sea level where moisture from snowmelt remains available through summer. 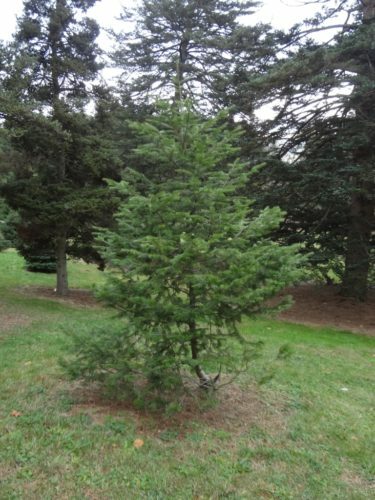 Abies sibirica subsp. semenovii - This 1990 accession was collected in the wild as seed in Kyrgyzstan by J. Silba. Photographed on November 26, 2014 at the Arnold Arboretum, Boston, Massachusetts. Abies sibirica subsp. semenovii Branching, foliage, and bud detail. Photo taken November 26, 2014.